Stamford Land Corporation Ltd announced on Sunday, September 9, that the company has filed a writ of summons against Mano Sabnani, who is a minority shareholder with the company. Mano Sabnani serves as the Chairman & CEO at Rafflesia Holdings Pte Ltd,was the Former Chief Executive Officer/ Editor-in-Chief at TODAY and the Former Managing Director at DBS Bank. 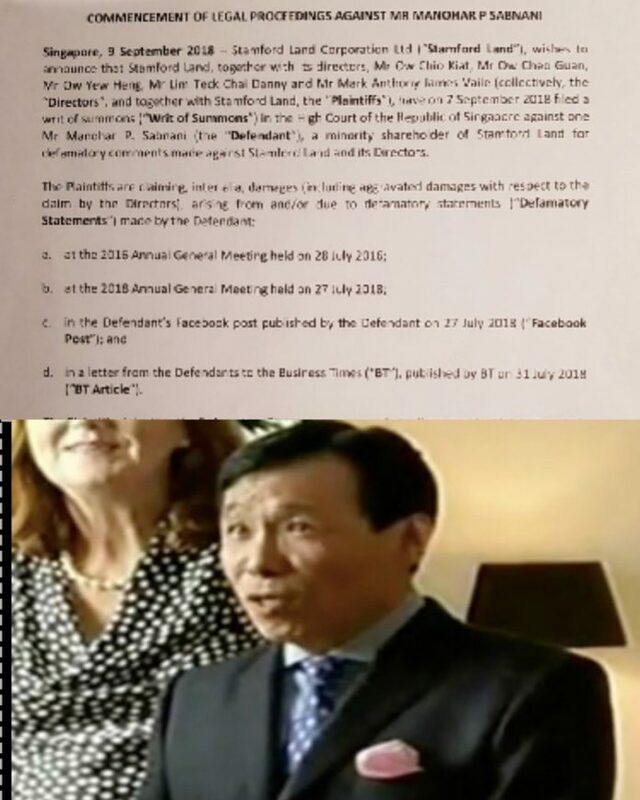 The company issued an announcement that legal proceedings against Mr. Sabnani had begun and that the Plaintiffs in the proceedings, which include the company’s directors Ow Chio Kiat, Ow Cheo Guan, Ow Yew Heng, Lim Teck Chai Danny and Mark Anthony James Vaile, are claiming damages from Mr. Sabnani for statements of a defamatory nature that he made on four occasions: the Annual General Meetings on July 2016 and July 2018, a Facebook post dated July 27, 2018 and in a letter to the Business Times (BT) on July 31, 2018. The announcement, written by Lee Li Huang, the Chief Financial Officer and Company Secretary of Stamford Land, ended with a statement that shareholders would be informed of further developments. Mr. Sabnani says he did not receive a clear answer to his question. 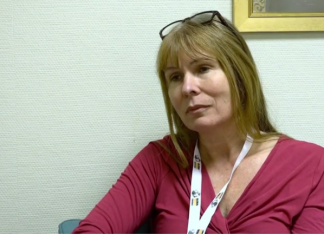 The chairman had answered saying that cash was needed to be conserved for future needs. Mr. Sabnani also made a point at the end of his letter, saying that there was not a large attendance at the Chinese Cultural Centre where the meeting was held, and that the attendees were not even given water to drink while the board members drank freely from their water bottles. On September 4, Benedict Tan, General Counsel for Stamford Land Corporation Ltd also wrote to the Business Times denying the accusations of Mr. Sabnani, and saying that a letter had been written to its shareholders on August 31 and posted on SGXnet in response to the allegations. Mr. Tan’s letter denied that the number of questions from shareholders was restricted, and said that the management and board of directors did not ask anyone to quench their thirst in the toilet.